Lydia Achieng’ Case: Director of Public Prosecutions Noordin Haji has defended the imprisonment of Lydia Achieng, a woman who was sentenced to 10 years in jail in 2010 on claims that she had defiled a minor. 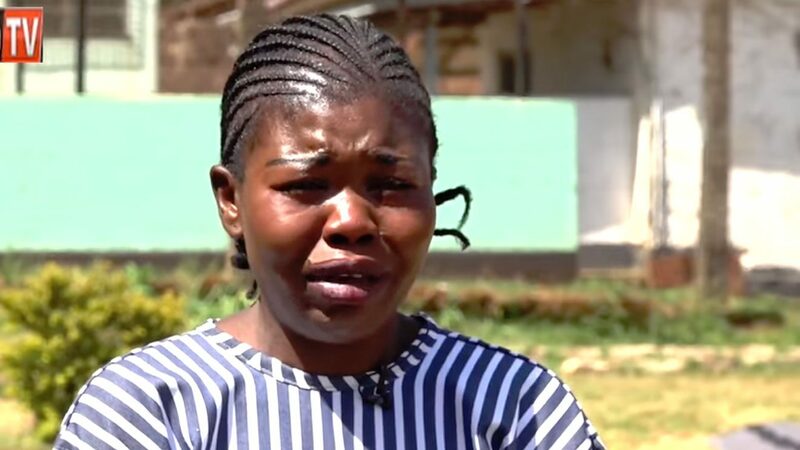 This comes after Ms. Achieng, in a now viral interview with InooroTV at Lang’ata Women’s Prison, broke down claiming she was convicted for a crime she did not commit. However, addressing the media on Tuesday afternoon, DPP Haji accused Ms. Achieng of lying to the media about the case, adding that witnesses testified against her in court. “She is lawfully in prison, and we concluded that matter and it was lawfully determined; nothing of that sort [wrongful conviction] happened, and I want to confirm that even though it happened before I came in,” said Mr. Haji. Ms. Achieng, who only has two months left on her jail term, claimed she was convicted on a fabricated offence despite the complainant’s attempts to withdraw the case. In the interview, she stated that her troubles began when she took in an orphaned girl under her roof and she (orphan) allegedly developed a romantic interest with the son of a fellow resident, identified only as Sophie. She narrated that Sophie was against the relationship and asked her to keep the girl away from her son. Ms. Achieng further added that, on the day of her arrest, she was at a salon having her hair done only to be confronted by Sophie who was accompanied by two police officers. She was reportedly arrested and, when her mother arrived and inquired what offence she had committed, they were informed that she (Ms. Achieng) had defiled a minor (Sophie’s son); a claim she denied. Ms. Achieng added that Sophie, after failing to turn up for many court appearances, finally showed up and told the court that she wished to withdraw the case as she had lied but was informed that that was a complex process considering the nature of the case. The interview caused uproar and caught the attention of many Kenyans online who rallied to have Ms. Achieng’s case reviewed. After the interview was aired on InooroTV, the DPP on Sunday tweeted On Sunday saying that a follow up would be done. “Despite the fact that convict was charged during the era of Police Prosecutors and before the 2010 Constitution, the DPP has directed that an immediate follow be done,” read the tweet.